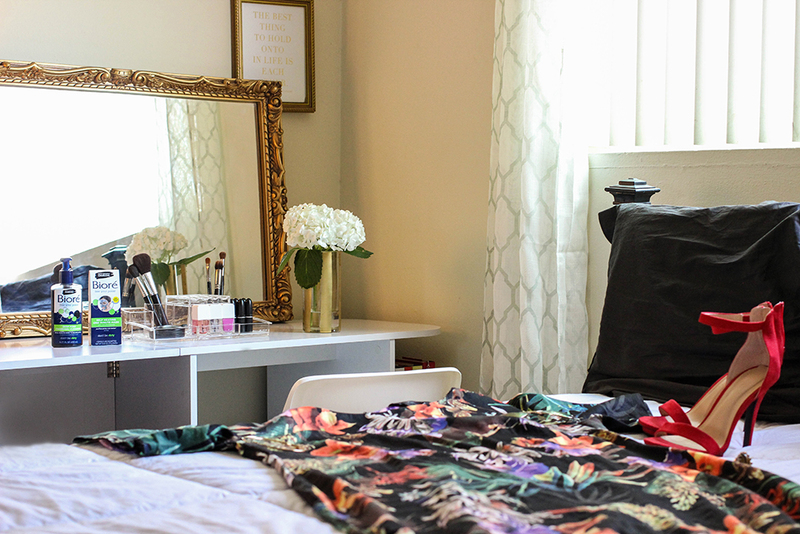 As a blogger, photo shoots have become a part of everyday life. 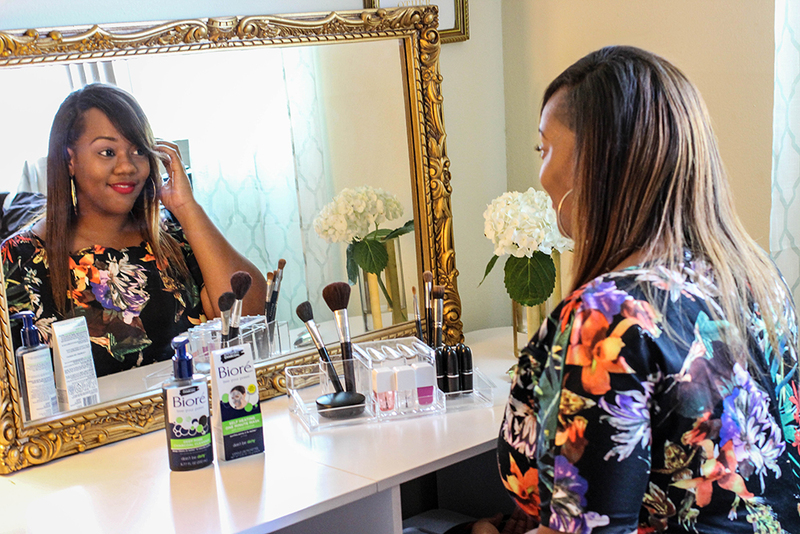 Being camera ready at any given moment is not the easiest thing to do but what helps me to look my best is taking good care of my skin. 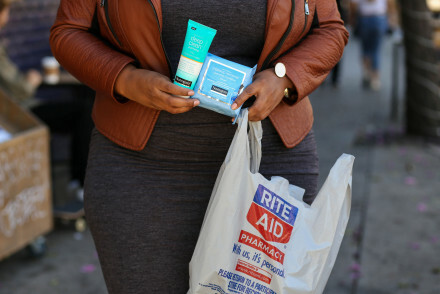 Great skin is the foundation to any look and can help enhance your style. 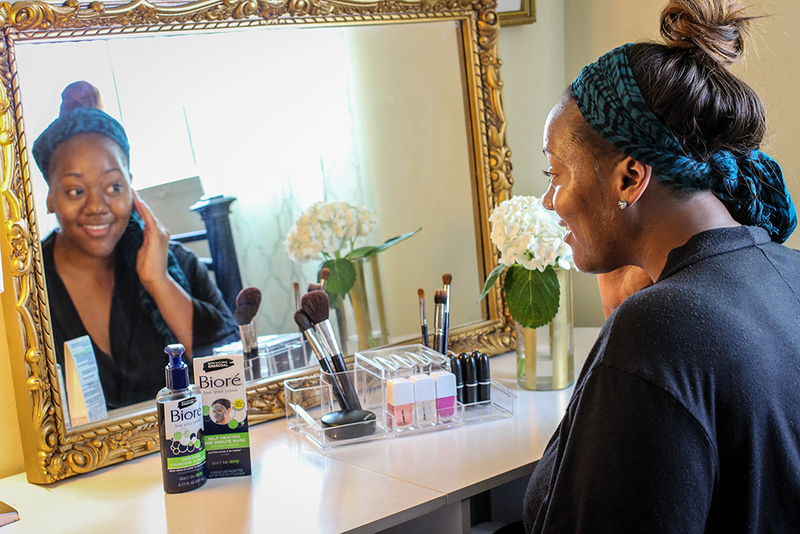 I’m always on the hunt for products that help solve my skin issues so I was excited to try the new charcoal line from Bioré®. 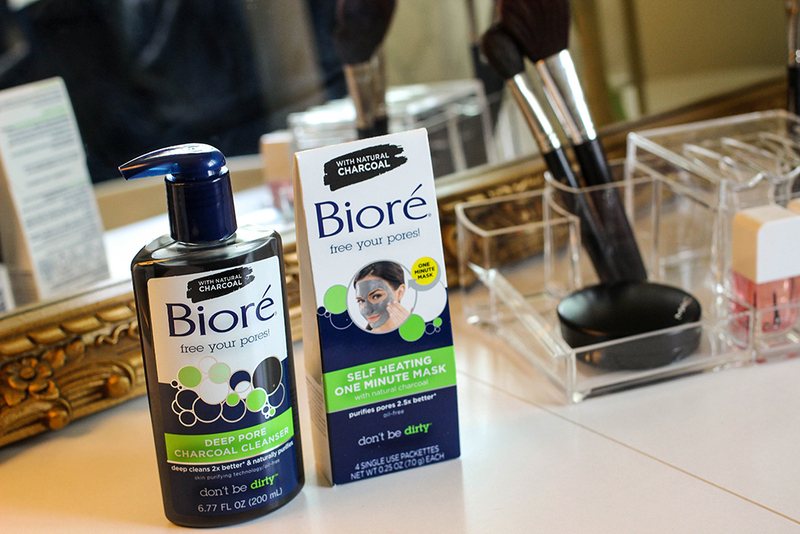 I tend to have oily skin so the offerings of the Bioré® Deep Pore Charcoal Cleanser seemed like a perfect remedy. Natural Charcoal is known for its ability to draw out and trap deep-down impurities. By using this in the cleanser, it claims to deep clean 2x better than basic cleansers & naturally purify pores, leaving your skin tingly-smooth. Also, being oil-free and infused with Japanese Skin Purifying Technology, it’s gentle enough for everyday use. Everything sounded great so I had to give it a try. Here’s how I prepared for my shoot. 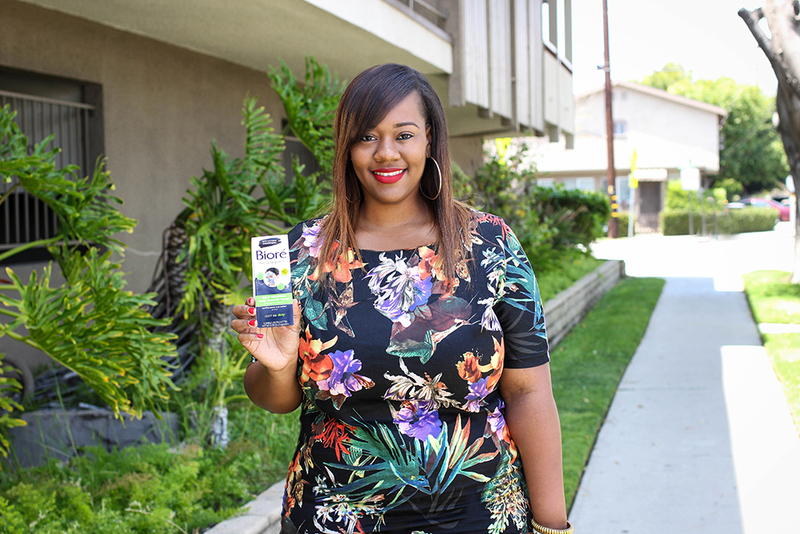 I started by using the Bioré® Deep Pore Charcoal Cleanser to wash my face. It definitely tingles as the product claims which to me is a good sign that the cleanser is working. 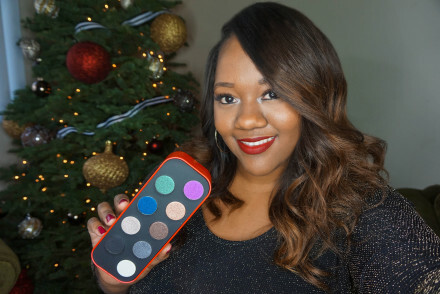 It left my skin feeling refreshed and provided a great base for makeup application. Then I selected what I would be wearing for the shoot. 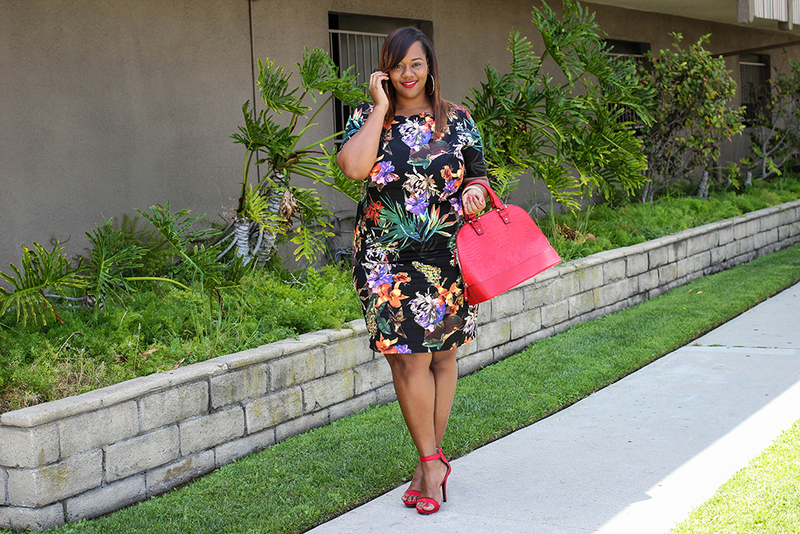 I settled on a tropical inspired shift dress with some fun red high heel sandals. In addition to the cleanser, I also picked up the Bioré® Self Heating One Minute Mask which actually warms upon contact to open your pores. 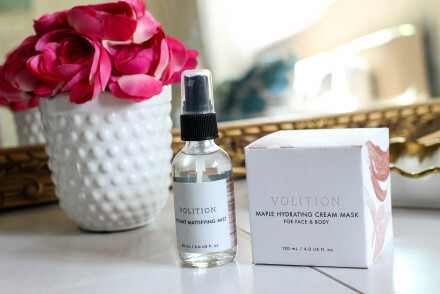 By opening the pores, it removes dirt and oil, giving you purified pores in just 1 minute. 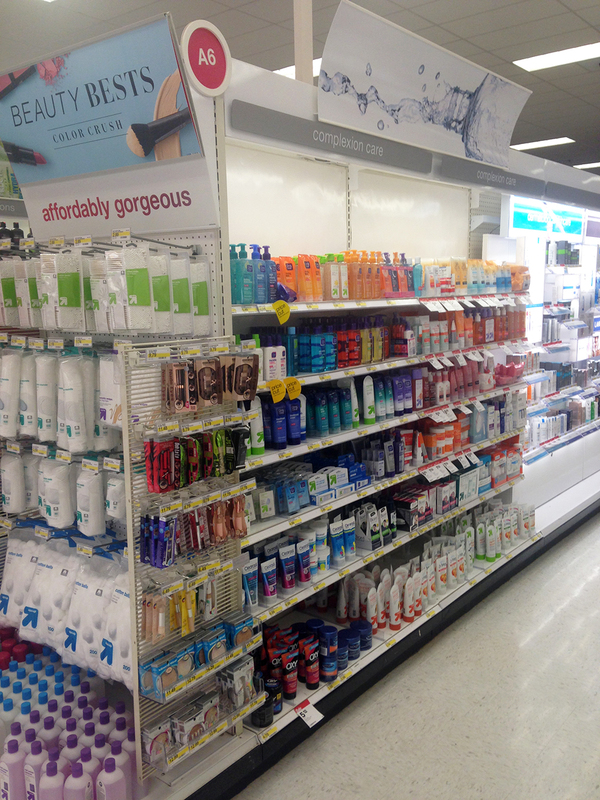 All of these products can be found at Target in the skin care aisle. Purchase any 3 Biore items and you will receive a $5 gift card. Offer runs 6/7-6/20. You can always opt to order online here. 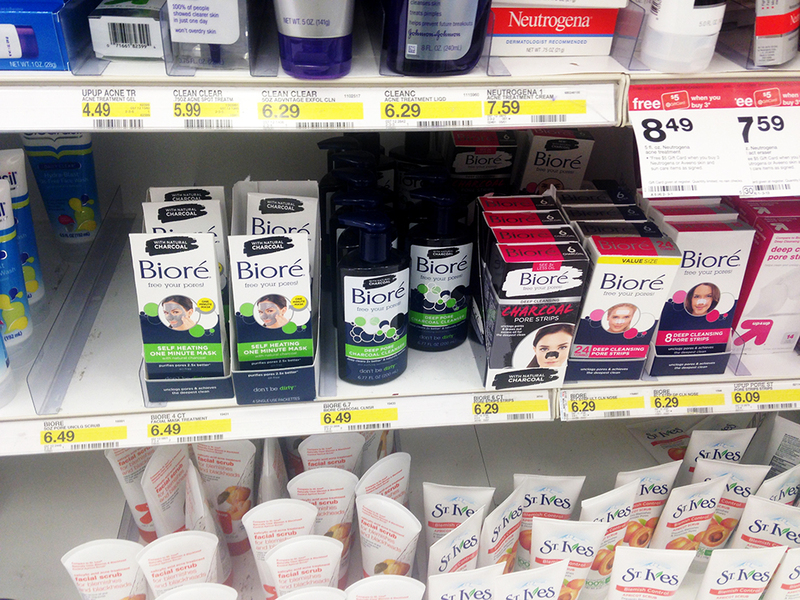 Also, you can check out Bioré® across the globe here. 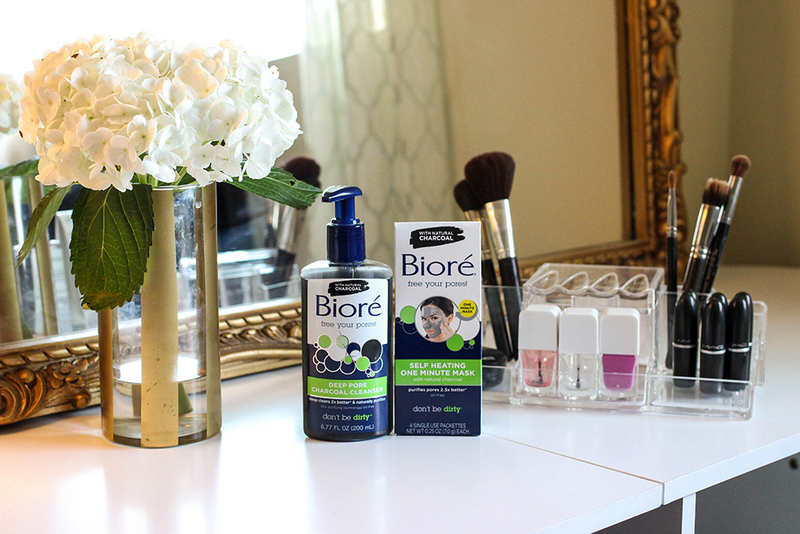 Be sure to check out more beauty tips from Bioré® at Target here. I’d love to hear your favorite! I’ve used the 1 minute mask for a while & love it. I’m adoring that outfit as well!